Can you say perfect masculine card?!?!! What a great shirt and I like the PP with the stitching. So happy you found us at Sketch Girl - thanks for joining in!!! Goodness, your handwriting is fantastic! Mine is terrible thanks to carpal tunnel and tendonitis, so I'm always in awe of those that write so pretty! Your card is so original--I love it! Thanks for playing with us at Sketch Girl! Very creative! Thanks for joining us at Sketch Girl! Beautiful card and Dad is definitely the name on this card. Thanks for playing along. Good luck. Oh how cool is that?!!! Love your take on the sketch. 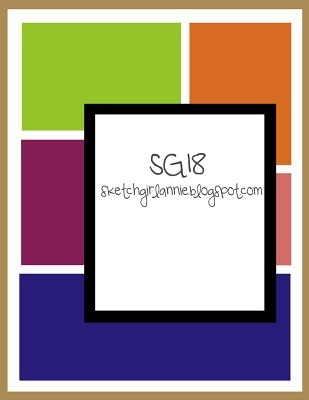 Thanks for playing along with us at sketch girl! Very innovative. I love how you made the shirt and tie. Great job with the sketch too! Oh I love this!!! I struggle with any card that is masculine, so I love inspiration! Your card is super!! !